a beautiful vintage world map printed on premium Italian acid free archival paper. 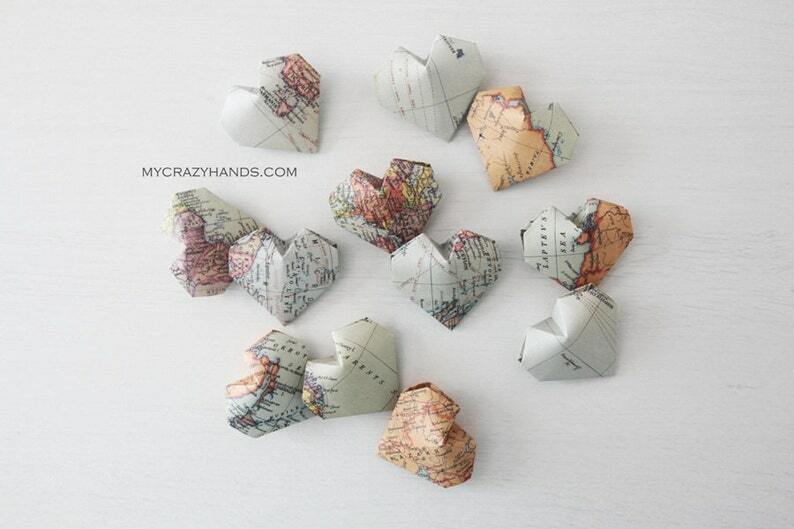 Origami hearts so cute ! Do not hesitate ; Jane is adorable !